The World Health Organisation data shows that one out of 160 children live with Autism Spectrum Disorder (ASD) but inappropriate data and wrong diagnosis have made it impossible to have accurate data in Nigeria about children living with the disability. In order to bridge this gap, there has been a Public-Private partnership which involves Lagos State Government, Guaranty Trust Bank and notable Autism Specialists which have been creating awareness and advocacy of the disability as well as giving care to those living with it. Over the years, GTBank has used the Orange Ribbon Initiative to offer trainings to thousands of caregivers on how to manage ASD. This has been accomplished in partnership with professionals such as Patrick Speech & Language Center, Lagos University Teaching Hospital, Pinnacle Medical Services, The Colour of Autism Foundation, and other Speech Therapy experts. 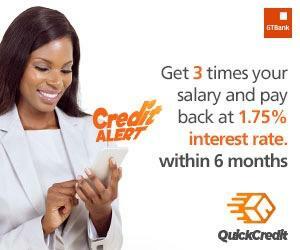 It will be recalled that GTBank flagged off this year’s edition of the Annual Conference in Lagos on Monday. The 2-day conference started Tuesday, July 17th at the Shell Hall, MUSON Center, Onikan with seasoned professionals training the general public on how to react, handle and give care to children living with autism. The event also had parents share experience as some also seek for guidance in order to understand their awards better. In her address, Mrs Joyce Onafowokan, an Early Intervention Expert and Special Adviser to Lagos State Governor on Social Development, disclosed that the State Government was concluding plans on providing infrastructures for the benefits of children with special needs. She hinted that two centers have been penned down for construction with each in Oregun and Sangotedo areas of Lagos. Mrs Onafowokan, who represented the Governor Akinwunmi Ambode at the 8th Annual Autism Conference by GTBank added that the State Government had mandated the Lagos State University to carry out appropriate research and help with data collation about children with special needs in the State. She concluded that Governor Ambode has set a new record by providing employment opportunities for adults living with ASD. In her presentation on the role of Community in Autism Advocacy, Mrs Adedotun Akande, Director of Patrick Speech & Language Center stated that it was important the community take note that each child is unique and it is necessary to be sensitive to the need of each affected child. She advised against taken to unprofessionals advice from people in the society as she noted that every mother is the best advocate of her child. Also speaking at the event was Camille Proctor, Executive Director of The Colour of Autism Foundation, USA and mother of a 10yr-old child with autism. She called on parents to be close to their children with special needs than any other persons as only them can understand their wards better than any other persons in the community. The event was well attended as the Shell Hall was filled to capacity that guests had to be moved to Mobil Hall. The Conference continues on Wednesday, July 18th. Follow up consultation is expected to continue after the Annual event.